It’s very difficult (for me) to come upon aubject-matter that I am happy to keep working on. 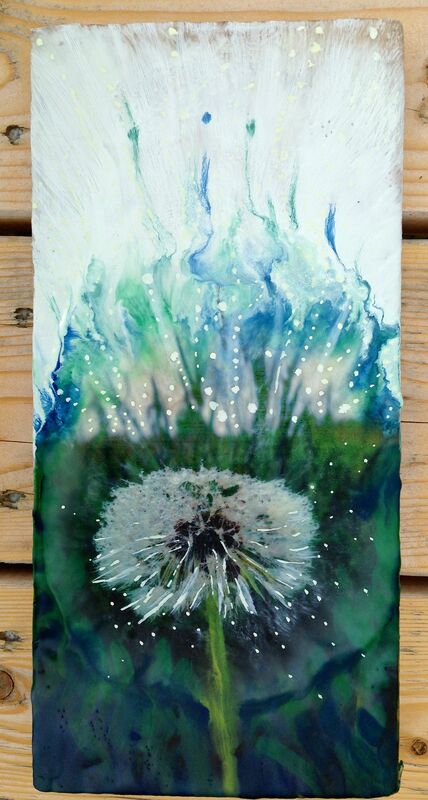 This dandelion series seems to be keeping my attention. The good thing about this is that it’s great for my learning process and for producing some work that others seem to enjoy. You just can’t get to final results without lots of experiments and failures…there is really no way around it. 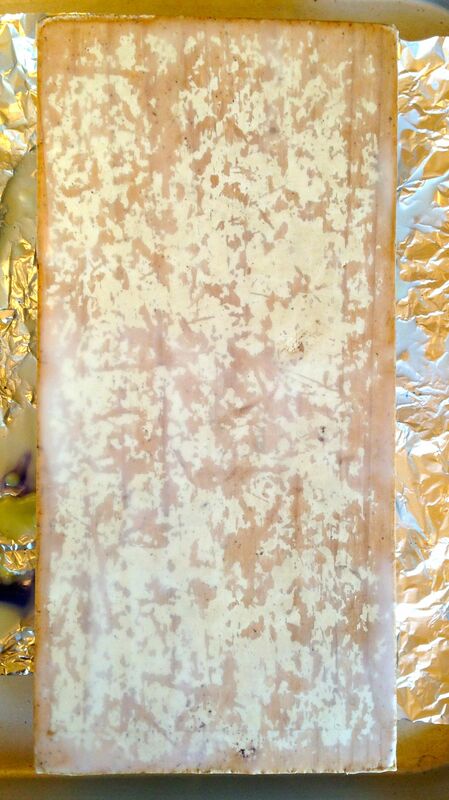 The piece above is the largest encaustic I have done so far–approximately 5″ x 9″. I know this doesn’t seem large, but when you are working at 5″ x 7″ and smaller those few inches really do make a difference! Even though there are things I will do differently in the next piece, this one pulled together a lot of things I have learned from previous attempts. I was really happy to be able to add some casein successfully at the end. 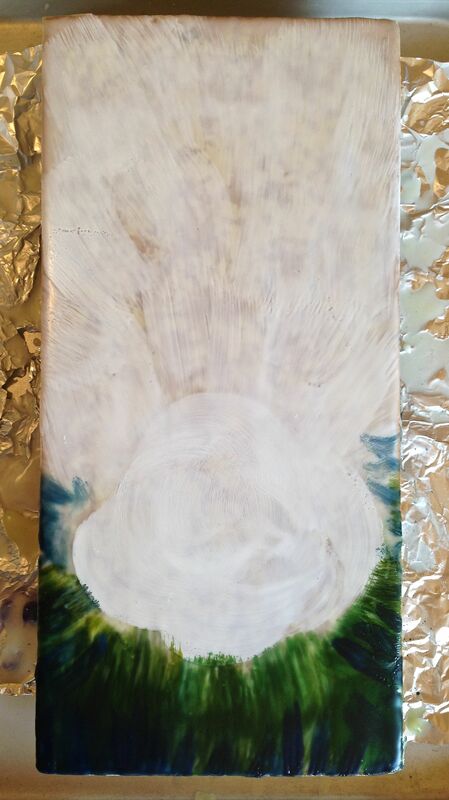 I am finding that I miss drawing when I do the photo encaustic, but I love the quick results. I think that I have to be more forgiving of myself, when I don’t have the time I need for painting or drawing, it’s okay to work with photos! Enjoy reading about the process.